Most districts are now requiring teachers to provide data-driven differentiation. What can you do for those students who are labeled as gifted learners? If they are already high achievers, it can be difficult to help them reach a higher level of success. These tips will help you and your students achieve their goals and keep you from pulling your hair out! Let's start by defining each of the terms. Data-driven is when data from test scores are broken down and used as the foundation for instruction. Differentiating instruction is when teachers modify instructional ideas, tools, resources, and/or activities to meet the students' individual needs. For example, teachers may use leveled books so each student can read about the same material on their own reading level. Who is the gifted learner? The tips below helped my gifted learners show improvement throughout the year and on their academic progress assessments. 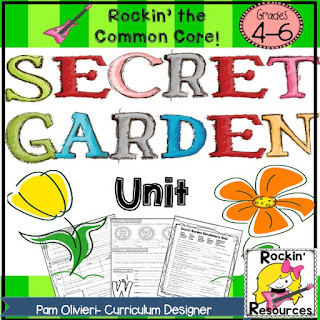 Are you looking for a Secret Garden Unit that will keep your students engaged in higher-level thinking in every chapter? In addition there is a vocabulary quiz, character chart, and test! The best way to increase math test scores for the gifted learner is by acceleration. Enrichment definitely helps, but acceleration gets the job done. Most gifted learners can learn at a quicker rate and don't need review and extra practice. If you can allow your gifted students progress through the curriculum at a faster rate, then you can use higher grade-level concepts once finished with the grade-level plans. These students will be able to grasp the grade-level material as well as advanced material in one year. Most gifted learners will be able to follow written instructions. If not, a quick lesson for the small group may be needed. Remember: They don't need the repetitive practice. Give them an anchor chart or poster with directions and examples or a quick video from Khan Academy and wahhhlllaaaa! Even if you haven't had the time for much differentiating throughout the year, this next idea will be helpful prior to the test. First, make sure you have the standards for a grade level higher. Then, highlight vocabulary terms in both reading and math as well as advanced math concepts. Create three lists of 12-20 new words and/or concepts. 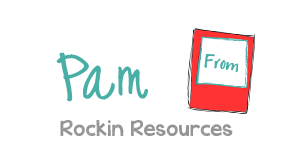 Three weeks prior to the state test, provide a list each week to the gifted learner. While you are reviewing grade-level content with the rest of your class, these students will be learning new words and concepts. It can be achieved through self-learning or a project-based activity. It works well independently or in a small group. The gifted learner should be accountable for their learning through grading the project or an assessment. 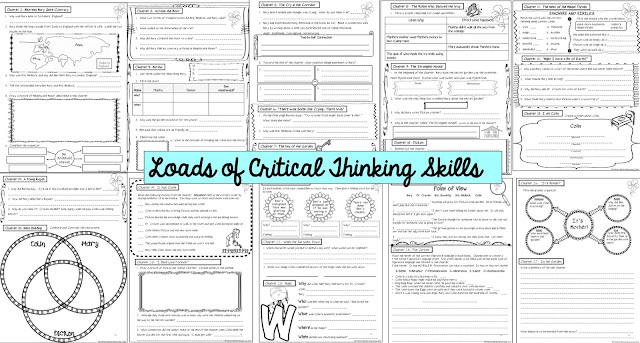 I hope these ideas help you differentiate for your gifted learners!!!! !